If you are unhappy with the way your smile looks, you don’t have to learn to live with it. Instead, you can do something to improve it. McCosh Family Dentistry is a leading cosmetic dentist in South Florida. We specialize in improving the look of teeth that are discolored, chipped, misshapen, or even missing. The dental professionals at McCosh Family Dentistry can reshape your teeth, close spaces, restore teeth that are worn or shorter than the others, and even alter the length of your teeth. Other cosmetic dentist services we perform include bleaching and bonding. We also install crowns and veneers, as well as reshaping and contouring your teeth to your exact specifications. If you don’t like the way your teeth look but aren’t sure how to improve them, we can help. 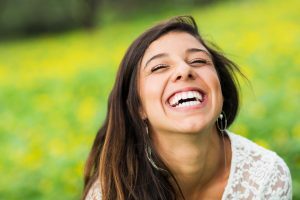 Schedule an appointment with the dentists at McCosh Family Dentistry so we can conduct a thorough examination and give you your options for improving your smile. Together, we can develop a strategy for creating the kind of smile that you can be proud to show off. We can answer any questions about what techniques are available to you and show you examples of what your teeth will look like afterward. We also will go through exactly what you can expect through the course of the treatment, as well as what type of maintenance will be required to keep your smile shining brightly. If you have always wanted the kind of 10,000-megawatt smile that movie stars have, McCosh Family Dentistry has is the cosmetic dentist in South Florida that can make it a reality. Call today for an appointment to get started.